India and Pakistan recently exchanged, through diplomatic channels simultaneously at New Delhi and Islamabad, the list of nuclear installations and facilities under a three-decade old bilateral pact. NASA’s Parker Solar Probe is scheduled for launch in 2018 to explore the Sun’s outer atmosphere. Parker Solar Probe will travel through the sun’s atmosphere, closer to the surface than any spacecraft before it, facing brutal heat and radiation conditions — and ultimately providing humanity with the closest-ever observations of a star. Parker Solar Probe will use Venus’ gravity during seven flybys over nearly seven years to gradually bring its orbit closer to the sun. The spacecraft will fly through the sun’s atmosphere as close as 3.9 million miles to our star’s surface, well within the orbit of Mercury and more than seven times closer than any spacecraft has come before. State-run gas transmission utility GAIL India (GAIL) has commissioned the country’s second-biggest rooftop solar power plant. The solar plant has been commissioned in Uttar Pradesh. Where’s the first largest power plant? Tata Power Solar has commissioned India’s largest solar rooftop project with 12 MW capacity in Amritsar. Saudi Arabia and the United Arab Emirates have introduced value-added tax, a first for the Gulf which has long prided itself on its tax-free, cradle-to-grave welfare system. It is a five per cent tax on most goods and services to boost revenue. The VAT will be applied on food, clothes, electronics and gasoline, phone, water and electricity bills, as well as hotel reservations. The Appointments Committee of the Cabinet headed by Prime Minister Narendra Modi has approved the appointment of Vijay Keshav Gokhale, to the post of foreign secretary. Vijay Keshav Gokhale, a 1981-batch officer of the Indian Foreign Service (IFS), had played a key role in India-China negotiations last year to resolve the 73-day standoff between Indian Army and Chinese People’s Liberation Army at Doklam Plateau. Doklam Plateau is a tri-junction between Sino-India and Bhutanese border near Sikkim. Any visually impaired person can register his or her address to get this calendar free every year. Chief Justice of Madras High Court Indira Banerjee conferred the ‘Sangita Kalanidhi’ award on Chitraveena maestro N. Ravikiran at the Sadas of the Music Academy. Sangeetha Kalanidhi or Sangita Kalanidhi is the title awarded yearly to an expert Carnatic Musician by the Madras Music Academy. 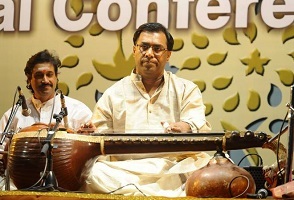 It is often considered to be the most prestigious award in the field of Carnatic Music. Ravikiran was born in Mysore, Karnataka. Hailed as “the Mozart of Indian Music” by the Wisconsin State Journal, USA. Ravikiran made his first appearance at the age of two in 1969 in Bangalore.